Would you say no to your child possessing a photographic memory, super IQ, a great sense of intuition and the ability to speed read? Of course not! These amazing traits put together would ensure that your child is one (or perhaps several) step closer to being a prodigy. 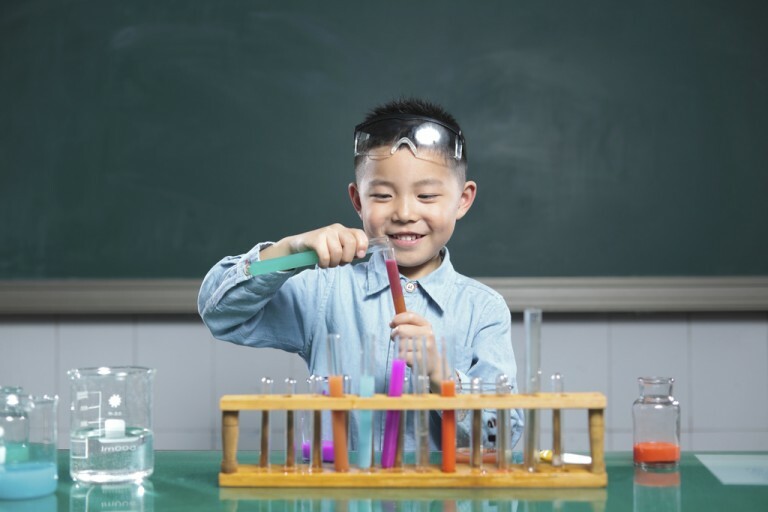 How do you get your little one started on developing his academic prowess, you ask? By signing him up at Heguru Method @Fusionopolis! Heguru Method @Fusionopolis runs an Infant & Toddler Class which aims to deliver information to the right brain in large volumes and at high speeds. In this class, the understanding of the subjects at hand is not the main aim; importance is given solely to the input of data into the minds of young ones. Each 50 minute long class is conducted with the purpose of enlarging the brain capacities of infants and toddlers. When Should I Get My Child Started on The Infant & Toddler Class? As soon as your bub turns six months old, he will be ready to be enrolled in Heguru Method’s Infant & Toddler Class. We can hear your gasps. That young? Yes! 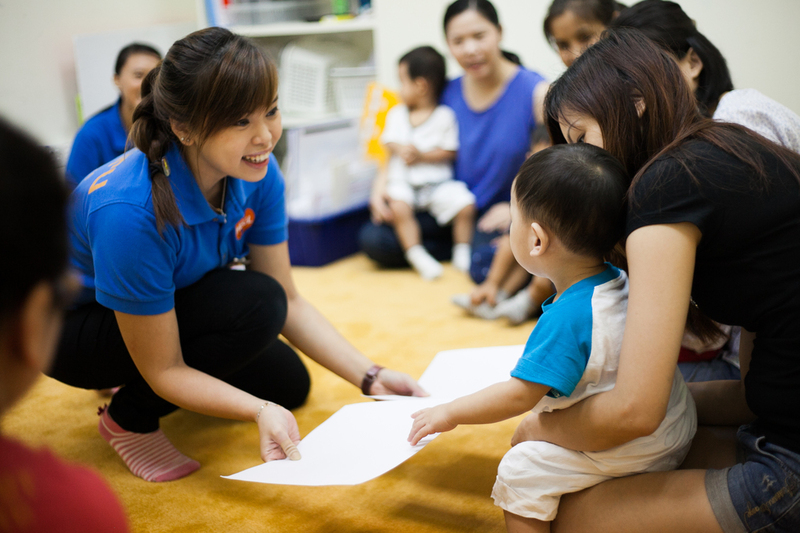 According to Agnes Ng, Principal and Programme Instructor at Heguru Method @Fusionopolis, children aged between six months to three years stand to benefit the most from this class. “This age range is known as The Golden Period. During this time, a child’s brain is most sensitive to the input of information,” explains Agnes. Simply put, a child’s brain is equivalent to a sponge during this time frame – it absorbs information quickly and develops rapidly. What Exactly Happens During an Infant & Toddler Class? I had the chance to sit in and observe one of these lessons and boy, was I amazed! I was informed that all instructors at Heguru Method receive formal training in Japan (where the technique first originated) prior to obtaining a certificate which allows them to conduct lessons here in Singapore. Why the need for such qualification? It is because the components of the lesson are delivered in a fixed order and at really fast speeds. When I say fast, I mean as fast as a Japanese bullet train. As long as an activity involving the children’s participation is not being conducted, the instructors are speaking rapidly. For instance, when flashcards of objects belonging to a certain category (e.g. : fruits) are being shown to the children, the names are rattled off by the instructor at mind boggling speed as she shuffles the cards simultaneously. So, why is this done? Agnes explains that this speedy recitation by the instructors is a form of mental stimulation for the children’s minds. It is this very stimulation that steadily enlarges the capacity of the brain. “This mental stimulation progressively increases the attention span of the child and in turn his ability to focus on a given task,” says Agnes. Flashcards depicting objects are laid out in a sequence. 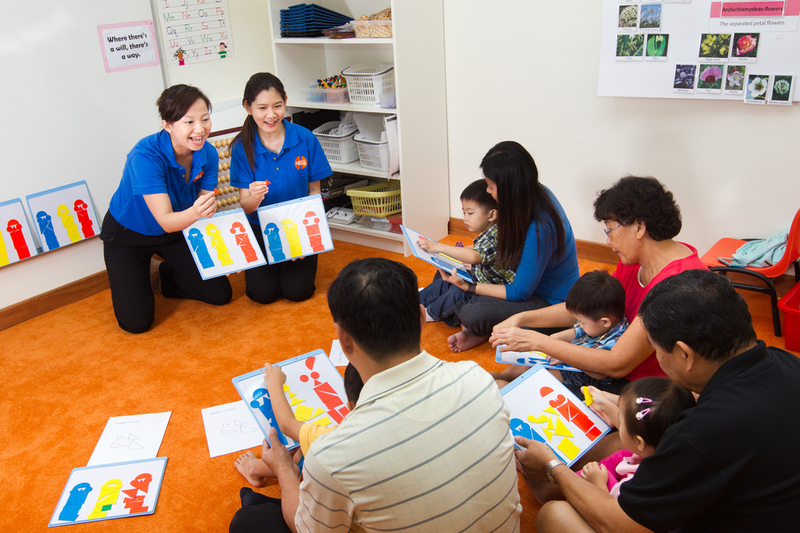 Children are encouraged to memorise the order of the flashcards by making up a story! A categorised set of flashcards are shown one after another to the children in a rapid manner while the instructor reads aloud the names of the objects depicted on them. This form of mental training is provided via the use of numbers. This time, the flashcards show numbers and the instructor recites aloud simple mathematical sums; e.g. : 8 + 2 = 10. When continued on a weekly basis, the child’s memory is said to improve. Basic fractions are introduced to the children with the use of placards. For instance, a cake is said to be divided into four equal parts and shared amongst a family of four. What fraction of the cake does each person get? The dancing sequences in between and at the end of the lesson seem to be best enjoyed by the little ones. The instructors demonstrate simple movements in accordance to cheery educational songs and the children are encouraged to imitate them. What Are Some Benefits I Can Expect my Child to Reap? The Infant & Toddler Class at Heguru Method is aimed at enlarging the vessel that is the human brain. Some of the programme’s outcomes include the development of the ability to concentrate, speed read, comprehend concepts and apply creativity. Time to address the burning question – how soon can you observe progress in your child? The programmes offered by Heguru Method do not guarantee overnight success. If you are keen on enrolling your infant or toddler in such a programme, do adopt a long-term perspective. Ultimately, you can expect to reap the benefits once your child hits primary school. “If you were to start your child off at the age of one, there will not be immediate output,” explains Agnes. Provided that you ensure your child goes through the various stages of the programme chronologically, you will be able to observe the much awaited hints of genius in your primary school going child. “We have had parents telling us that their children grasp concepts taught in school very easily and that they don’t have to bring any homework back as they finish it all within school hours,” says Agnes. What Are Parents Saying About These Classes? 36 year old engineer, See Guan Huei, has enrolled both his children in the Infant & Toddler Class at Heguru Method. Chevelle, aged 4, has been attending lessons since she was just 5 months old while her younger brother, Kenez, aged 2, started the programme at the age of nine months. “Chevelle is able to concentrate well within a classroom setting. She is able to pick up Chinese characters and English words easily,” says her father. In addition to that, he adds that she has a good memory as she is able to recall sentences from storybooks she reads. Chevelle has also developed good motor skills and displays fine penmanship. According to business development manager, Joie Lee, 32, lessons at Heguru Method are fun and interactive. “The pace at which the learning materials are presented is fast enough to catch the attention of little ones.” The mother of two, Jacob, aged 3, and Trisha, aged 1, says that both her children enjoy and look forward to their Sunday lessons at Heguru Method. Jacob, who has been attending the classes since six months old, is able to recognise Chinese characters with ease, and his mother believes that this will help build a strong foundation in the language. Joie believes that Heguru Method’s classes help children retain information easily. “This is important as it will prepare them for preschool as well as primary school. Picking up concepts fast will also build confidence in a child. His learning journey will be fun and challenging,” says the mum of two. Images courtesy of Heguru Method @Fusionopolis.